Thanks for your interest in our Car Show during the Paradise Main Street Festival. There are Goody Bags and Dash Plaques for the first 50 registrants. 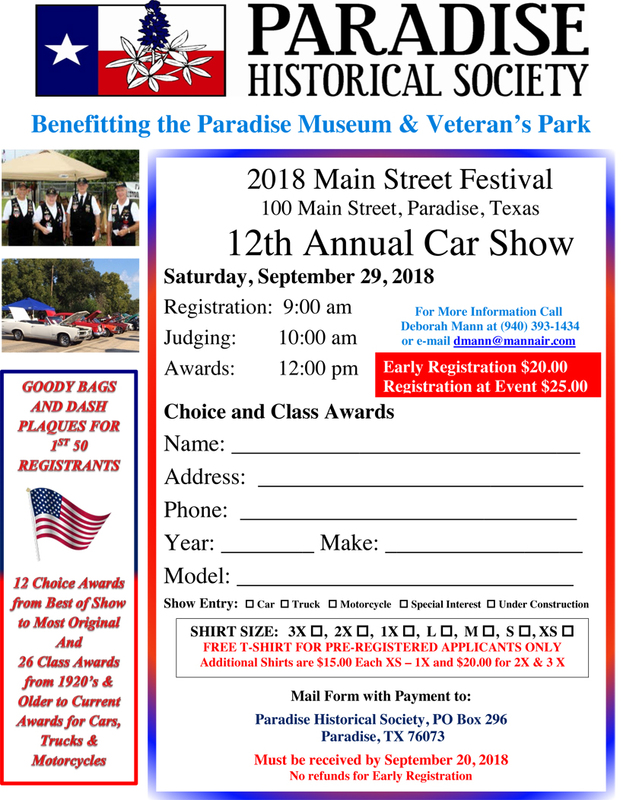 12 Choice Awards from Best of Show to Most Original and 26 Class Awards from 1920’s & Older, to Current Awards for Cars, Trucks and Motorcycles. Free T-Shirts for Pre-Registered Applicants!